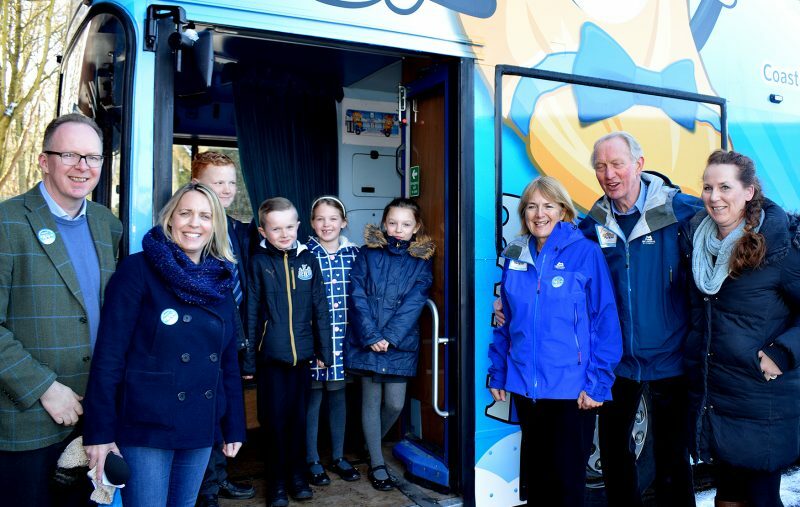 Schoolchildren and the BBC visit Bluebell Bus! We’ve had a busy week at Bluebell HQ and it’s only Tuesday! So many schoolchildren from Gosforth Park First School, Brunton First School, Knop Law Primary School and Kingston Park Primary School, have been the very FIRST children to jump on board! Lovely Lisa Shaw from BBC Radio Newcastle interviewed the children from Knop Law Primary School, Brian Burnie and Dave Harrison from Blubell HQ with Dr. Paul Feron interviewed too! Our week of events is going great! Looking forward to seeing more children tomorrow and the social event in Gosforth on Thursday and a special live outside broadcast on Friday!